Dr. Steven M. Balloch is an experienced restorative and cosmetic dentist who has been honored with numerous awards; his experience, training and knowledge allows him to perform complex full-mouth reconstructions at our Hartford, Connecticut dental practice with beautiful results. Though we offer a variety of procedures at our practice, including porcelain crowns, porcelain veneers, and dental implants, some of our patients require more extensive treatment. To meet the needs of these individuals, Dr. Balloch can fully rehabilitate and reconstruct the mouth utilizing a range of dental prosthetics. If you suffer from extensive dental decay or have a number of damaged teeth as a result of a trauma, Dr. Balloch and our team can relieve discomfort and help improve the functionality and appearance of your smile. We invite you to contact our cosmetic dentistry practice today if you are interested in full-mouth reconstruction in the Hartford, Connecticut area. For patients with multiple oral health needs, a full mouth rehabilitation can rebuild your bite and smile. By combining treatments, we can formulate a customized plan that meets your unique requirements. Due to the scope of the procedure, full-mouth reconstruction requires extensive planning and multiple visits to the dentist. Because of the degree of complexity, only qualified and experienced dentists can offer full-mouth reconstruction; in private practice since 1984, Dr. Balloch has extensive experience and can be trusted to provide superb patient care. other to restore a patient’s oral health. As these treatments can be lengthy, sedation dentistry is also often employed to ensure the total comfort of the patient. while having a more positive impact on those around them. Additionally, dental-related ailments, including headaches, jaw soreness, pain in the back and neck, TMJ dysfunction, and numbness are often alleviated or eliminated. A full-mouth reconstruction is a comprehensive treatment that fully rehabilitates the function and aesthetics of a person’s mouth. As such, the cost may be prohibitive for some individuals. For this reason, we are happy to offer a variety of dental payment plans to make the cost of treatment more affordable for our patients. We invite you to contact our Hartford cosmetic and restorative dentistry practice today if you are interested in learning more about full-mouth reconstruction or feel you may be a good candidate. We are proud to offer full-mouth reconstruction at our Hartford practice, and would be pleased to help you achieve your dental health goals. 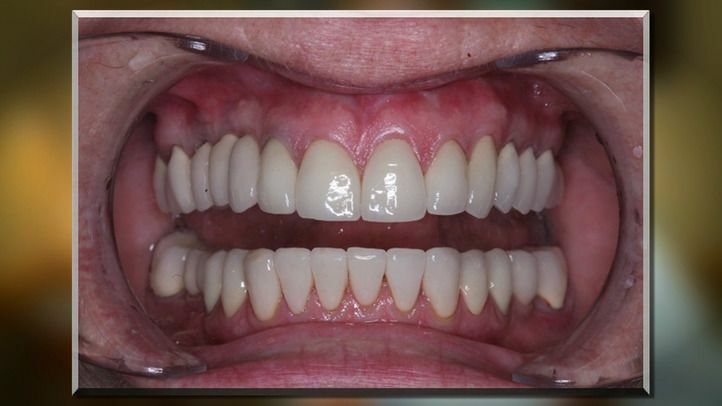 The restoration of my teeth during the filling repair process caused him hours of work not typically encountered, yet to him it was an invigorating challenge he was more than qualified to address. I found the results impressive to say the least. I owe a debt of gratitude to Dr. Balloch and his talented team of professionals.